There are many popular programming languages like Java,c++,c# etc follow an Object Oriented Programming paradigm. 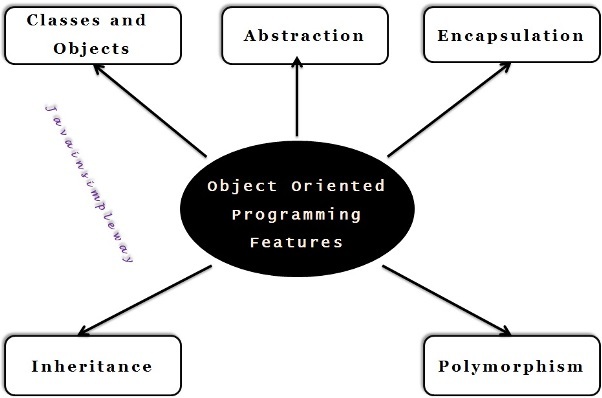 Object Oriented Programming system(OOPS) is designed based on the concept of “Object”. OOPS concept brings this data and behavior in a single place called “class” and we can create any number of objects to represent different state for each object. OOPS Concepts are very important mainly because without having idea of OOPS concepts, we will not be able to design systems in object oriented programming model. Class represents a real world entity which acts as a blueprint for all the objects. We can create as many objects as we need using Class. Now we can create any number of objects using this class and all those objects will get the same fields and behavior. Now we have created 3 objects s1,s2 and s3 for the same class “ Student ”. We can create as many objects as required in the same way. Similarly we can provide different values for each field for “s2” and “s3” and we call this as a “ state ” of an object. Abstraction is the concept of hiding the internal details of a functionality and providing a simple representation for the same. So complex functionality can be made available to the outside world in a simple way. We use mobile phone everyday but we don’t know how the functionalities are designed inside it so that we receive the calls and send messages etc. 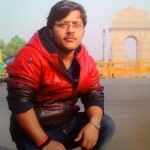 These functionalities have been kept inside and we are just accessing them using the options provided in the mobile. Similarly, we drive a car and change the gears as and when its required to go high speed and come back to low speed but We don’t know how the gear box works internally. So, gearbox working is abstracted and provided with simple mechanism of changing gears to the outside world. Similary, we apply brakes whenever we want to stop the car but we are not sure how the braking system works internally. Similarly, in java we can write a method to perform some functionality inside a class and we can expose it to outside world just by providing an option to call this method. So, anyone who calls this method will not be knowing the internal complexity of the method but will be knowing the functionality of the method and hence he calls it and uses it. So, this way, we hide the internal implementation and abstract it inside a method. Abstract class in Java can be created using “ abstract ” keyword. If we make any class as abstract then it can't be instantiated which means we are not able to create the object of abstract class. Interface is used to achieve pure or complete abstraction. We will have all the methods declared inside Interface as abstract only. So, we call interface as 100% abstraction. Now these functionalities like changing a gear and applying brake are abstracted using this interface. Actual implementation will be provided by the sub-classes which implements the above the interface. So, we can see that, internal working of gear box and the brake system is implemented in the subclass and its abstracted using the interface. Encapsulation is the process of binding object state(fields) and behaviors(methods) together in a single entity called “Class”. Since encapsulation wraps both fields and methods in a class, it will be secured from the outside access. Encapsulation helps us to achieve the re-usability of code without compromising the security. One class inherits or acquires the properties of another class. The class which inherit the properties is called Subclass or Child class. We use “ extends ” keyword to achieve the same. The whole idea behind inheritance is “ Re-usability ”. We can create more specific classes by inheriting fields and methods from the Generic class. And we can add additional fields and methods in the Subclass. Static/Compile Time polymorphism is an example for method overloading. In this case, which method to call will be decided at the run time time based on what object is actually pointed by the reference variable. Run Time Polymorphism is an example for method overriding. Check Polymorphism in Java article for more details on Polymorphism. great content….made it very easy to understand.